Congratulations to our winner of a $5000 Gift Certificate to Alaska Fur Gallery – BERGEN D! Listen to KOOL 97.3 for your chance to go under the tree and pick out a gift! Depending on which gift you choose, you could win yourself some great prizes from Allure Day Spa and Hair Design, All Seasons Clothing Company, and Winestyles. The best part? Once you pick your gift your name is entered to win a $5000 shopping spree at Alaska Fur Gallery. 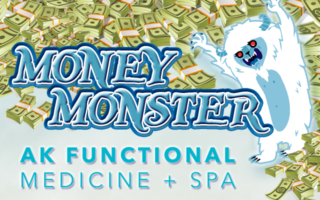 Money Monster Howie Mandel LIVE – Winner!